a hungry man travels: Viva Vienna restaurant review - Sixta and the wonderful world of Schniztel! 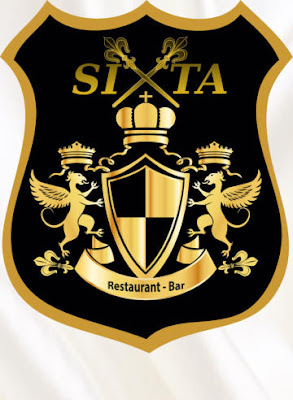 Viva Vienna restaurant review - Sixta and the wonderful world of Schniztel! One of the first job interviews I ever had involved heading to The Coffee Mill in Yorkville, a sorely missed restaurant (see obituary here) that remains embedded in my memories. That interview landed me a job, but what remained memorable was eating perhaps some of the best schnitzel in Toronto. This was where my love for schnitzel began and I knew when planning the trip to Vienna that schnitzel would be the number one culinary adventure for me on my personal Austrian food map. I won't mention Demel Bakery because, well, it merits a separate story, and this post is all about schnitzel. What is it about this deep fried breaded piece of meat - veal for purists, chicken for wimps, that wets the appetite and excites the taste buds? I was in the country that invented ‘Weinerschnitzel’ - the original Austrian name that means ‘Viennese cutlets’, and I wasn't about to miss out. If you research the dish, you'll find that it's origins are mired in controversy. Some claim it originated in Italy and was brought to Austria. Other food historians dispute that claim and say no such record exists about any Italian roots with the dish. Either way, this 19th century dish became extremely popular and remains so to this day. Weinerschnitzel is traditionally prepared using slices of veal, but chicken or pork is often used - mostly because it's a cheaper cut of meat than veal. For me, schnitzel is not schnitzel unless veal is used. I think I may have mentioned in previous posts my food purist tendencies? The meat is pounded into thin, flat pieces, slightly salted, and then rolled in flour, whipped(!) eggs and breadcrumbs. What I found fascinating about the recipe, is that the breadcrumbs shouldn't be pressed into the meat but instead, lightly dredged so that the crumbs stay as dry as possible so it can be "souffléd". The last stage of the cooking process includes the coated meat fried in lard or clarified butter until it is golden yellow. I love how original recipes insist that the Schnitzel must 'swim' in the fat, otherwise it will not cook evenly. Basically saying that the fat content must be quite high - I can almost feel the collective gasps of pain from nutritionists everywhere! The frying process also involves the Schnitzel being tossed around the pan, so that the fat coats every inch of the breaded meat. Are you drooling yet? You should be. With the recipe in mind, I began my search for the best Weinerschnitzel restaurant in Vienna. I knew the dish was popular, but I didn't realize just how difficult it would be to reserve a place to dine - mostly due to popularity. I should have known but after hours of searches, we finally found Sixta, well known for it's exceptional schnitzel. I always find that when it comes to certain foods I love, my expectations for its preparation in restaurants are sky high. The aftermath of that lofty ideal is usually severe disappointment. After arriving at this almost out of the way restaurant in central Vienna, my partner and I felt instantly at home. It's the kind of place that you just knew were mostly frequented by locals and that in itself led to an almost instantaneous homey atmosphere. We were served drinks while we perused the menu, but we knew what we wanted. For starters, my partner ordered the Kürbis-Kokos-Ingwer Cremesuppe - the Pumpkin coconut ginger cream soup, and I had the Getrüffeltes Gänselebermus, Aprikosenkonfitüre with Toast - Truffled goose liver pate with apricot jam and toast points. You could probably hear the slurping and chewing of our tasty apps. I LOVE pate, and this was exactly what I expected. Creamy, tangy, savory pate with sweet jam, spread on toast, just - wow. Hiss soup was the prefect blend of sweet-savoury that comes from great stock, perfectly pureed pumpkin and just the right addition of coconut cream that won't overwhelm the pumpkin but boosts the pumpkins nutty flavour. Wiener Schnitzel vom Kalb, or veal Wiener schnitzel with mixed salad and potato. It was served with greens tossed with a sweetened vinaigrette dressing, and a warm potato salad. Words cannot described my joy as I tucked into a piece of the juicy, yet dry veal outlet, added a potion of the potato and greens to the fork, then shoveled it into my mouth. An instantaneous power punch of flavour enveloped my mouth. The tender meat, combined with the salt and sweetness of the vinaigrette mixed greens and potato made me shake with pleasure. A dessert of Apfelstrudel hausgemacht & Schlagobers or Housemade apple strudel with whipped cream followed our main course. Perfectly cooked apples sweetened with sugar and cinnamon, rolled in a house-made dough was delicious. But, I will add that I'd exchange the whipped cream for vanilla ice cream in a heartbeat. But the meal wasn't over yet. Once the dessert dishes were cleared, out came the schnapps - which turned out to be a surprising, but lovely (and enthusiastically welcomed) complimentary treat. Now Austrian schnapps are not a joke and the house schnapps at SIXTA packed a pretty powerful flavour punch. These flavoured liqueurs are not at all what your Grandmother in Canada or the US are drinking. The flavours, ranging from apricot to hazelnut are deep, luscious and I loved every bit of it. Oh how I wish I took a picture of the contraption that was the schnapps bottle. Whatever it was, it poured a perfect shot of the tasty liquid. I had the apricot and was drunk after one sip. No joke. Did I not mention above that these schnapps were not like what Gran has in Canada? The alcohol content is, well, high. Drink it and enjoy - with care! We left Sixta happy (drunk?) and very full, but also with a sincere promise to return the next time we had the chance to visit Vienna. Nothing makes me happier than when great traditional cooking meets my mouth, and Sixta hit all the right culinary notes enough to make a A Hungry Man highly recommend a visit if you ever find yourself searching for Wienerschnitzel in Vienna.